How Old do you Have to be to Work at Aerotek? If you have office or clerical experience, are a biologist or lab tech, or want to find a new opportunity in engineering or aerospace, then Aerotek might be just the right place for you to find your dream job. Read on to learn how to get hired through one of the most renowned recruiting and staffing firms in the world. Depending on the job you seek, you might need some specialized skills or even an advanced degree to get a job with Aerotek. Aerotek has been connecting qualified candidates with incredible opportunities for more than 30 years. They are focused on life sciences, engineering, and aerospace. Aerotek has won Best of Staffing® awards three years running. They are recognized as a Military-Friendly Employer. The following guide will share just a few of their many current opportunities. We will walk you through the recruitment process. We will also give you a little more insight about the company. Jobs at Aerotek range pretty dramatically. They include Customer Service Representative, Clinical Research Coordinator, Production Worker, Stock Clerk, Maintenance & Repair Worker, Electrical Engineer, Mechanical Engineer, Software Developer, Machinist, Assemblers and Fabricators. Aerotek applicants find their opportunities online. A list of industries and the positions available within each are available on Aerotek’s Career Opportunities page. That gives you a search menu and clear instructions. The role of a Customer Service Representative is to help callers who require assistance. Typically, this work is done from a call center and requires some computer savvy. It also requires professional phone conduct, and a great personality. This is sometimes an entry-level position. Other times requires some experience. If you enjoy talking on the phone with people and helping them, this could be the job for you. Clinical Research Coordinator jobs vary widely. Some require advanced degrees in nursing or science. Some do not. The job descriptions range from screening patients to designing clinical research studies. There is a mix of clinical and data work involved in this position. If you are a person who is extremely organized, enjoys working with research and data and communicates well with a team, this is the job for you. Production Workers generally work in a fast-paced facility. It usually has an assembly line of some sort, often using machines. This might involve the production of food, circuit boards, or even parts for cars and trucks. Some of these jobs provide training and many of them offer incentives to consistent, hard workers. If you know how to use machines, and don’t mind repetition, this opportunity is for you. The role of Maintenance and Repair Technicians is to repair and maintain equipment and machinery. The jobs vary a lot. They include circuit board repair to maintenance of large motors, pumps, and hydraulic machines in factories. These jobs are ideal for candidates who have been to trade school and already know how to work on machines. They are also ideal for people who are good at mechanics and use tools. If you enjoy repairing things, have some mechanical know-how, and want to work with your hands, then this could be the job for you. Electrical Engineers do everything from designing and assembling circuit boards. They also model the electrical systems of medical devices. In addition, they draw up CAD designs for electrical systems in architecture. This is an incredibly in-demand field. Whether you want to level-up in the Electrical Engineering game, or are just starting out, there is definitely an opportunity out there for you. If you have a degree in Electrical Engineering and want to find exactly the right position for you, then Aerotek can help connect you. Mechanical Engineers play a number of roles in designing and engineering products and systems. Some jobs in mechanical engineering involve computer drafting or energy modeling, while others require collaboration with architects and factory staff. There are as many different positions available as there are specializations in the field. If you have an engineering or engineering-related degree and want to find a position that is challenging that takes full advantage of your skills, then Aerotek can help you get hired. Software Developers write, design, troubleshoot, and update the software systems used in every single computer application that exists. From military systems to iPhone apps, these jobs require fluency in computer languages, code writing, user experience protocols, and many different programs. These jobs vary greatly. If you have a computer science degree, or love working with code, testing and designing new software systems, then this could be the job for you. Machinists use blueprints and precision tools to create parts by using drill presses, lathes, and mills. They also set up and operate computer numerical control (CNC) machines. Some of these jobs are entry-level and provide training. That is extremely valuable if you’d like to begin a career as a machinist. You can earn money to learn a skilled trade! If you enjoy using machines and tools, have some CAD experience, and have an interest in manufacturing, then this could be just the job for you. Management jobs at Aerotek run the gamut from Quality Assurance to Project Management, depending on which industry you are looking to work in. There are many diverse management positions available. A Quality Assurance Manager is responsible for the ensuring that employees are following industry protocols. They ensure that people are achieving standards. This role is usually responsible for overseeing a team and making sure that people are meeting all of the goals and deadlines. A Project Manager is often the bridge between clients and contractors, and is the head of construction projects, making sure that every contractor and subcontractor is meeting deadlines, that they are doing work to spec, and that people are coordinating everything properly to get the job done on time and within budget. This position requires a lot of knowledge about construction trades and great communication and organizational skills. How Much Does Aerotek Pay (Hourly and Salary)? Aerotek primarily offers hourly pay, with management positions earning salaries. Part-time employees shouldn’t expect to receive any benefits packages, but full-timers and salaried staff get health, dental, and vision benefits as well as a 401K and vacation days. These kick in after 6 months on the job. How Old do You Have to be to Work for Aerotek? 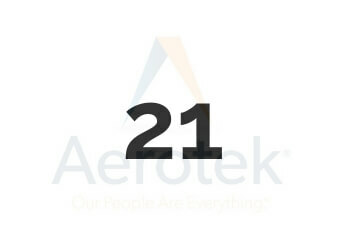 Most jobs are Aerotek require a college degree or certificate, so the majority of applicants will be over 21, although that is not a requirement. This varies from position to position, but it goes without saying that any job requiring the use of heavy machinery will drug test applicants. In many professional companies, drug tests are not standard, but you should always be prepared to consent to a drug test. 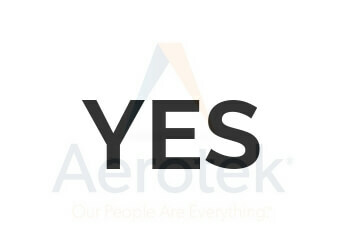 Why do you want to work with Aerotek? Be honest about why you want the specific position you are interested in: past experiences or skills that make you a good candidate. Definitely explain that Aerotek has an unmatched reputation for connecting job seekers with great opportunities, and explain that you wanted to work with a staffing agency that provides so much support for its applicants and employers. Explain how you want to be with a company that rewards you for your loyalty and hard work, and how you would like to be at the same company, but in a higher-paying position with more responsibility. Your interviewer wants to hear that you are in it for the long haul, and that you are willing to put in the work to make yourself a valuable part of a team. Do you have prior experience working in this field? Make sure that you have tailored your work history to fit the job description as closely as possible. Your interviewer wants to know that your experiences and qualifications will prepare you for the position you are interviewing for. If you experience is not exactly in the field you are applying to, relate how your past experience will translate well into this new role. Have you ever had a problem with a coworker, and how did you resolve it? Answer this question by describing the problem and the actions that you took to resolve it, not including reporting it to a manager or supervisor. Your interviewer wants to know that you have communication and interpersonal skills and the initiative to take care of problems by yourself. Whether you are applying for a manufacturing position, you should dress neatly and business-casual. For management or professional positions, err on the side of more formal dress, such as heels and dresses for women or suits for men.